How important is geography, and how can I teach it to my young children without it being dry and dull, especially when my own knowledge of geography is limited? You are not alone in your lack of geographical knowledge! In fact, American students’ geographical comprehension ranks below that of students in most other industrialized countries, and test scores among high school seniors have been on the decline for at least two decades. There are many children (and adults) who can’t read maps, or locate major cities, states, and/or countries. I think it is high time to break this cycle! Geography is more than just knowing where places are. It is coming to understand how all the places on Earth and the people that inhabit them interact with each other. So much more than memorizing rote lists of cities and states, it is learning about various cultures, which are defined by traditions, values, religions, resources, cuisine, languages, economic systems, and geographical limitations. Pretty exciting, if you ask me! Why is it important to include geography in our homeschool curriculum? Geography gives students practical skills, such as reading and interpreting maps, and also teaches them to think critically about the various issues and cultures in the world around them. It is also important, as the world becomes smaller, to increase knowledge about international markets and economies, including natural resources, industrialization, technology, transportation systems, and trade patterns. Most importantly, we can better share the love of Christ and pray for people around the world if we better understand their cultures and spiritual needs. What tools should I use to teach it? Your homeschool should be equipped with up-to-date globes, atlases, and wall maps of the North America and of the world. Blank maps can also be printed out for free at sites such as World Atlas. Map floor puzzles are fun too. Computer geography games can be a real asset. You can download Seterra, a free comprehensive geography program with more than 50 map exercises and 13 quizzes to learn about countries, capitals, flags, mountains and cities all over the world! Or you can download one of the many free geography game apps at Amazon, or purchase the pc games series Carmen Sandiego. A few well rounded, general geography books are good to have on hand. Children Just Like Me by Anabel and Barnabas Kindersley is a captivating book about children all around the world including photographs and quotes about what they eat, wear, play and live in. Geared for 1st through 5th grades, it is interesting for all ages. Eat Your Way Around the World by Jamie Aramini with recipes from all the continents, is fun for all ages. Geography Through Art, taking you on an artistic journey through 25 countries, also good for all ages. While geography can naturally be extended from social studies, literature, and science, you can also become geo-savvy by studying it for its own merits, building unit studies around the continents. It is also easy to teach various grade levels together, providing age appropriate resources. Visit Homeschool Share’s Geography Connections page to see the hundreds of FREE geography resources that are available to you! The study of geography often begins with the child’s home, town, county, and then state. You can then extend the studies to other states that have meaning to your child – where grandma lives or a favorite author was born, or where a movie he saw took place. There is no need to cover every single state, but try to cover at least one state in each region. Utilize the handy USA Connections page at Homeschool Share to find FREE Unit Studies, Lapbooks, and book lists to satisfy your child’s curiosities. Then branch out into North America, and then visit the other continents too. Here are Around the World Lesson Plan sheets to help you organize your unit studies. As you pick and choose which countries from each continent you’d like to learn more about, be ready and willing to take rabbit trails. There is so much to discover and enjoy in each country, from the political, economic, and cultural systems, to its prevalent religions, to its flora, fauna and natural resources. You can graph statistics and measure distances, delve into native artists and composers, and especially fun, cook regional foods, play regional games, and/or dress in regional clothes. Let’s break that cycle of geographic ignorance! Have fun! County Fair season is approaching and we are busy, busy, busy! There is so much learning going on, I imagine there must be a way to document it and call it “school.” Any ideas? In preparation for your fair season, your children may enjoy HSS’s Free fair-themed literature based unit studies. Each unit has free notebooking pages and/or lapbook components that can be used for documenting purposes. Down, Down the Mountain by Ellis Credle is a sweet classic picture book about Appalachian children, Hetty and Hank, who want to buy shoes. They lovingly grow turnips all summer to sell in town. They trek down their mountain, meeting many characters along the way, and their generosity left them with only one turnip left to sell! Oh well, they’d make the best of it at the County Fair that was in town. Find out if Hetty and Hank got their shoes after all! Download the Free Unit Study HERE. Young Almonzo goes to a fair in Farmer Boy by Laura Ingalls Wilder. You can download the complete unit with notebooking pages HERE, or the Story Study Lapbook HERE. Another fair themed book your children may enjoy is Richard Peck’s Fair Weather. You can read Jen’s review HERE. As your children are making their fair entries, you can record what they learn on Project Based Learning Assessment sheets. Tips on how to utilize these sheets can be found HERE. Children can also use these My Fair Entries notebooking pages to write about their creations. Have a great time at the fair. And remind your children that school can be fun! In honor of these cute fur balls, Homeschool Share has a New, FREE Unit Study and Lapbook for you…. The Habits of Rabbits by Virginia Kahl! Sweet little Gunhilde is at it again, and this time she wants pet rabbits! While she isn’t aware of the “habits of rabbits,” the King sure is, but his warning goes unheeded. What is Gunhilde to do, as her cute, furry pets take over the kingdom? My children are in their teens now, and we still love Virginia Kahl’s picture books. Told in rhyme, and taking place during medieval times, I hope her books become favorites of your family, too! Homeschool Share also has Free Unit Studies and Lapbooks for some classic rabbit favorites. 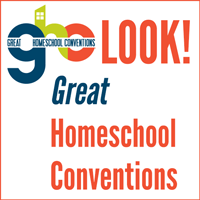 All these and more can be found on Homeschool Share’s Rabbits Connections Page. HENRY WADSWORTH LONGFELLOW was born in Portland, Maine, February 27, 1807. He was educated at Bowdoin College. After his graduation from college he spent several years abroad and upon his return to America held professorships of Modern Languages and Literature first in Bowdoin and later in Harvard College. When he moved to Cambridge and began his active work at Harvard, he took up his residence in the historic Craigie House, overlooking the Charles River-a house in which George Washington had been quartered at in 1775. At Cambridge he was a friend of authors Hawthorne, Holmes, Emerson, Lowell, and Alcott. Longfellow was the poet who had spoken most sincerely and sympathetically to the hearts of the common people and to children. His poems were often of home-life, simple hopes, and of true religious faith. His best-known long poems are “Evangeline,” “Hiawatha,” “The Building of the Ship,” and “The Courtship of Miles Standish.” He made a fine translation of Dante’s “Divine Comedy.” Among his many short poems, “Excelsior,” “The Psalm of Life,” “The Wreck of the Hesperus,” “The Village Blacksmith,” and “Paul Revere’s Ride” are continuously popular. Longfellow was also known as the “Children’s Poet,” as his child-like spirit – affectionate, loyal, eager for romance and knightly adventure – in his poem “The Children’s Hour” helps to show. Longfellow died in 1882. He was the first American writer who was honored by a memorial in Westminster Abbey. Grave Alice, and laughing Allegra. Is not a match for you all? And molder in dust away! The Complete Poetical Works of Henry Wadsworth Longfellow can be downloaded for free here. This book for young readers presents one of the sweetest poems in the English language. Lang’s luminous illustrations perfectly capture the happy atmosphere of that house, the author’s affections for his daughters, and the painterly quality of his verse. Longfellow’s tribute to the famous revolutionary hero begins with the stirring cadence that American schoolchildren have committed to memory for over a century. Now illustrator Ted Rand brings these vivid and beautiful lines to life as dramatically as the poet’s immortal message inspires. A luminously illustrated collection of many childhood favorites, this lovely book also includes biographical information, some background on the selections, and definitions of unfamiliar terms. Notebooking pages and/or lapbooking components about Maine. Smother your children with kisses, baking Magical Kiss Cookies together. You can extend your study of Longfellow by reading Prairie School by Avi, about a 9 year old boy who learns to read with the help of Longfellow’s poem, “Psalm of Life”, and completing the unit study with FREE Longfellow printables found here. Click on the photos to go straight to the studies!